Have you ever apply for any CPA network and you got rejected then this post is only for you. Today I will share with you best CPA Networks For Beginners. CPA Affiliate Networks are the best way to make money online. When it comes to CPA Affiliate Marketing it’s very hard to get approved for any top CPA Network. But there are thousands of other affiliates networks as well where you can join and start making money. There are some big CPA Networks where you don’t need any approval. You can simply signup on these networks and start promoting their offers and make money. You might be heard about there are some networks who don’t pay and don’t have good tracking systems to tracks your sales and leads. You can lose your money as well as your time. I am also doing affiliate marketing from last 3 years and working on top CPA Networks. I used a few networks which are so good for beginners. They do pay on the time and they have a good tracking system to track your sales and leads. So you don’t have to worry about losing your leads and sales. So here is the list of best CPA Networks for newbies 2018 that you can join and make money. For these Networks, you don’t need any approval. All you have to do is create an account and you can promote offers and make money from CPA Marketing. 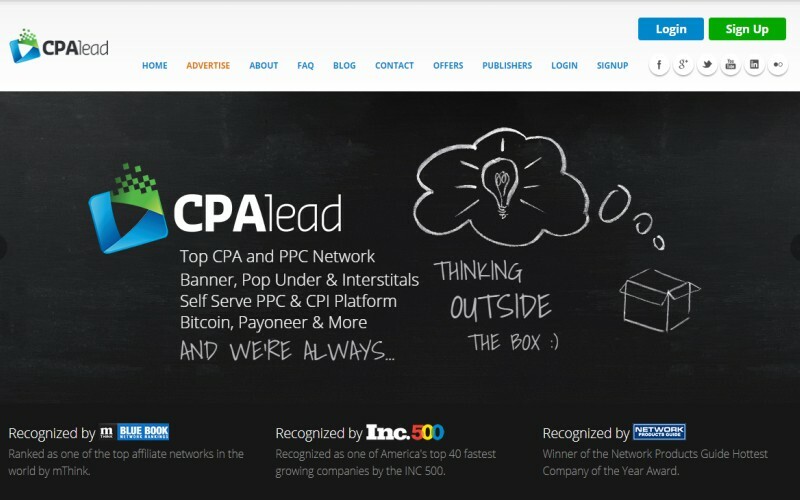 CPALead is one of world best CPA network for beginners. They have a good monetization option for beginners to make money online. According to Inc.500 CPAlead has been recognized as the 40th fastest growing company in the world. For CPALead you don’t have to wait for account approval. All you have to do is create an account and after creating you are able to log in and start promoting offers. 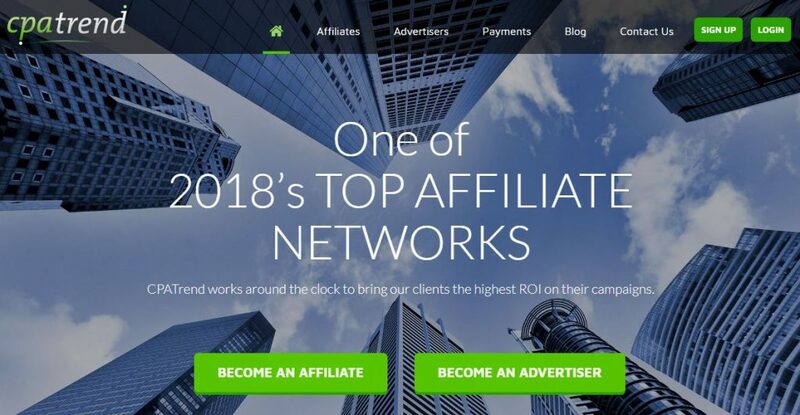 We also listed CPALead in our Top 10 Best CPA Network 2018 List. Payment Methods: Paypal, Payoneer, ACH, Bitcoin, Check. Payment Frequency: Net 30 after that weekly. Adscend Media is a CPA affiliate network was founded in 2009. The Company headquartered is located in Austin, TX, United States. Adscend Media is one of best network for incentive traffic. They do have a good tracking system so you don’t have to worry about losing your leads. They don’t have any requirement to join. All you have to do is fill up the information and create an account. 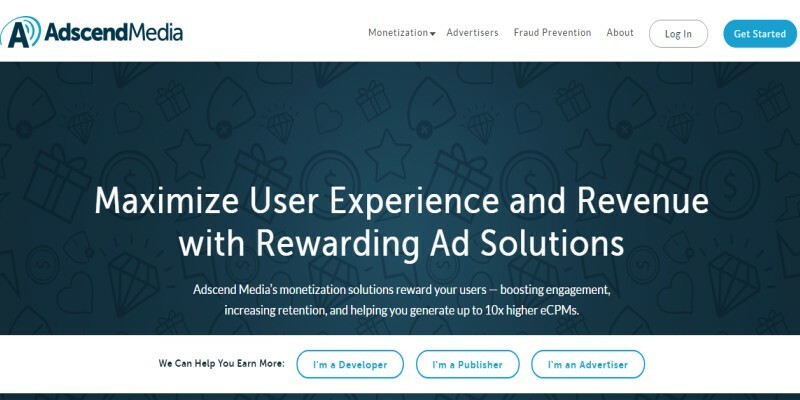 I Must recommend you if you are beginner must join this network because Adscend Media is one of the best CPA Network for Beginners. Payment Frequency: Net 30 Basis. Payment Methods: Payoneer, Paypal, ACH and wire transfer. Adwork Media is US Based CPA Affiliate Network. 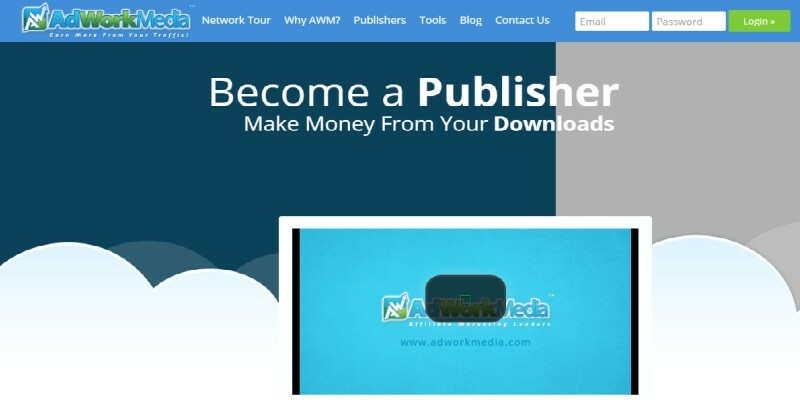 Adwork Media is worldwide CPA Affiliate Network providing Monetization solution to their publishers and websites owners. This is the best CPA Affiliate network for incentive traffic. If you have incentive traffic and want to monetize your traffic. then don’t waste your time signup with them right now and make money. They have more than 50,000 Publishers from around the world with 3,000 Plus campaigns. The is the best alternative to CPALead and CPAGrip. Payment Methods: Paypal, Payoneer, Payaza, ACH, Wire Transfer and Westrion Union. Mobidea is Luxembourg based Mobile affiliate network. 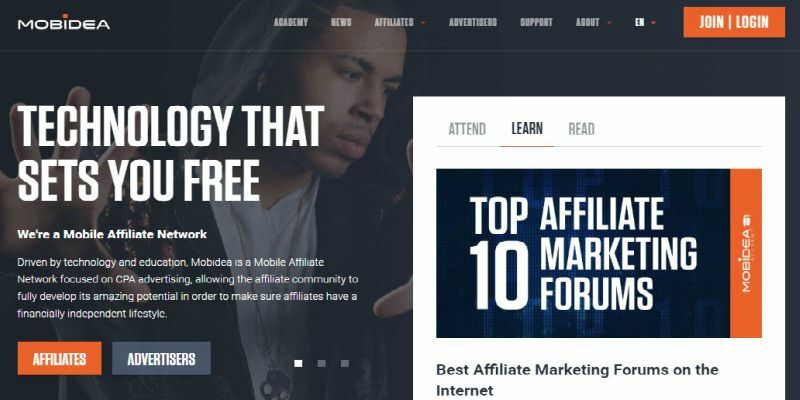 Mobidea is known as world top best mobile affiliate network with 100,00 Plus affiliates. Right now Mobidea is running 2000 plus offers to promote and make money. Mobidea Network is running subscriptions offers, sweepstakes, pin submits, and app installs offers. They have just CPA and CPI Offers. This is one of the best CPA networks for Newbies to start your career. If you have not started any affiliate network then I recommend you to join Mobidea. Because they have very good offers and high payouts. Mobidea started a program which is called Mobidea academy. Mobidea academy helps users to provide free tutorials on how they can start work on Mobidea and how they can promote Mobedia offers. Which is enough for you to start working on Mobidea. Payment Frequency: Request Basis when your Balance increase to €100. 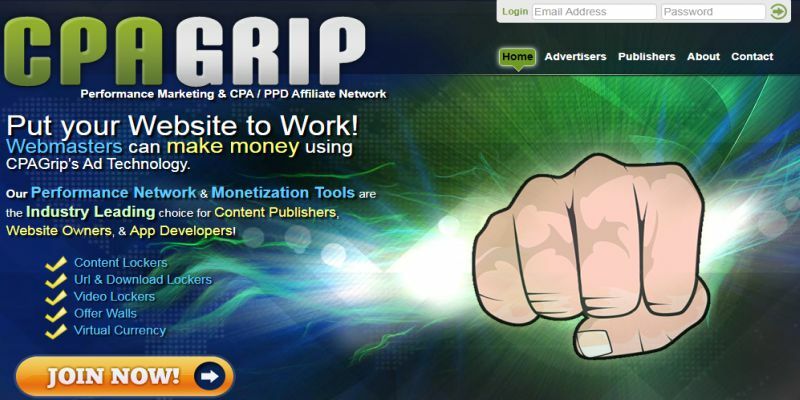 CPAGrip is nota World top CPA affiliate network but this is one of best CPA Network for beginners. They provide the best offers to promote. They also pay on the time for that you don’t have to wait so many days. This is the best alternative to CPALead. The best thing is you don’t need any approval to join CPAGraip after signup you can log in and make money. They have 15,00 Plus campaigns from all over the world. They have 4 types of tools which helps the users to monetize their traffic, Content Locker, Folder Locker, Video locker and offer wall. Payment Methods: Paypal, Payoneer, Wire Tracer and Check. Another great CPA network for those peoples who are complete newbies or beginners which is called CPA Trend. CPA Trend is the best network for beginners to join and make money from the start. For this network you don’t need approval, all you have to do is join this network and start making money. CPA Trend was founded in 2010 and legit CPA network which is always paying on time. This is also one of legit CPA Network for beginners. Payment Frequency: Net 15, Bi-weekly and weekly. Payment Methods: Paypal, Payoneer, Wire Tracer. ACH and check. MGcash is another fastest growing CPA Network. They have very good reviews and also they are paying on time with no delay that makes this network one of best CPA network for beginners. They also have very great offers to promote with the very good commission. I just recommend you go ahead and signup for this network and start making money from this amazing CPA Network. Payment Methods: Wire and Bank Transfer. AdsMain is Brooklyn, NY based Affiliate marketing network provides an amazing offer to promote and earn money from them. This is another best network for newbies to join and make money. Ads main is also always paying on time and we did’t find any payment issue on this network. So you can join this network and it is the best place for you to start your CPA Career their support team is available 24/7. Their support team is also very helpful and they will help you with picking the campaigns and promoting the campaigns. All you have to do is create an account on this network and start making money. Payment Methods: PayPal, Check, Wire, ACH, Direct Deposit. If you are a beginner is CPA Marketing then I bet biz profits is one of the best options for you to start your journey. Because bizprofits has a very great support team which is always here to help you with promoting offers. So you can learn a lot from their team and a very great opportunity for you. bizprofits is one of best CPA Network for beginners to join and earn money online. Payment Methods: PayPal, Webmoney, Wire, Paxum, Epese. NutraCash is US Based CPA Network headquarter located in Wilmington, DE, United State. NutraCash is a newbie but fastest growing affiliate network providing very high payouts. Their offers are converting very well and also paying on time. If you are complete beginner then I recommend you go with Nutracash and start your CPA Marketing Career and earn extra money. Payment Methods: PayPal, Check, Wire, ACH. If you are a beginner in CPA Marketing then these are the best CPA networks for you to Join. If you have not joined any network till no now then join networks that are listed above and make some money. I did work with all of the networks and I am sharing with you my experience. All networks are so good to join and make money. They are also using a good tracking system. The most important thing when it comes to Beginner networks everyone thinking that does this network really pay. So, Guys, they are old networks and trusted networks. Their payout on time as well. So you don’t have to worry about that. So don’t waste your time, Go ahead and join any network and start making money. If you like My Post, share this post with your friends. Also comment below if you are working with any network that is listed above so share your experiences. If you are facing any problem or have any question just drop a comment I will help you as soon as possible. All Networks That are Listed Above 100% Trusted. 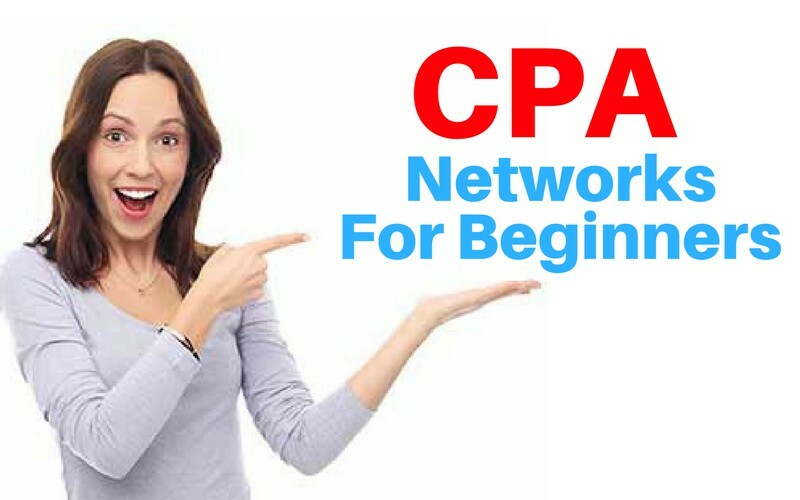 They are best CPA Networks For Beginners t Join in 2018. Thanks for writing such a great article. I was searching for some Good CPA Networks to join and earn money from CPA Networks, I came to your article and get a lot of good information about these top networks. Thank you so much for the positive feedback about the article. Aw, this was a really nice post. Spending some time and actual effort to produce a top notch article?